We're proud to introduce the 2018-2019 State Youth Council (SYC) Executive Board. These students, chosen by their peers, are excited about the new year and the great things the youth of the state will be doing. 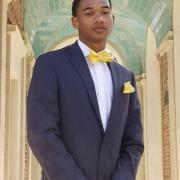 Aaron is a rising senior at Raleigh Charter High School and has been a part of the Cary Teen Council for the past four years. He was the SYC Vice Chair for the 2017-2018 term and is a two-time All-American track and field athlete. Aaron credits SYC with making him the leader that he is today. During his term as Chair, he hopes to increase communication between the youth councils and get even more youth involved in serving their community. Aaron is a strong believer in SYC’s ability to create leaders who will one day change the world. 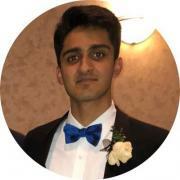 Vishaal is a rising senior at Green Hope High School and has been a part of the Cary Teen Council for the past three years. He is an avid musician and loves to intertwine the arts and community service. As Vice Chair, Vishaal is looking forward to interacting more with various councils and getting more involved in the activities of state government. He sees SYC as a vital platform that enables young people in North Carolina to give back to their communities and become civically engaged. 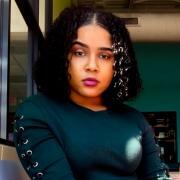 RaVin is a rising senior from Fayetteville who splits her time between being homeschooled and attending a local community college. She has been a part of the Fayetteville Cumberland Youth Council for the past two years and looks forward to serving as the Secretary for the 2018-2019 term. In her free time, RaVin likes to swim and fence. State Youth Council is like one big family for RaVin where everyone works together to have fun and help others. 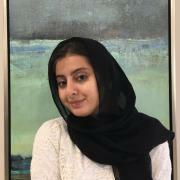 This year she hopes to continue to make SYC more inclusive and welcoming to youth from all across the state.